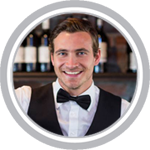 Utah alcohol seller-server safety training ensures that sellers and servers of alcohol understand state and local liquor laws and serve alcoholic beverages responsibly. An alcohol seller-server training program can also significantly reduce the risk and liability associated with alcohol service. Utah law requires every person who serves alcohol in a restaurant, club, bar or tavern, to complete an alcohol training and education within 30 days of employment and re-certify every 3 years. Title 62A-15-401 of the Utah Code requires alcohol servers to complete an Alcohol Certification Course. Utah Eliminate Alcohol Sales to Youth (EASY) alcohol training is for anyone who sells beer, wine or spirits at a convenience store or grocery store. Learn how to recognize intoxication, how to check ID’s, minors and alcohol, Utah state specific seller laws and many other skills to help you keep your customers and your business safe. In 1987, Utah became the second state in the country to require training for all on-premise alcohol servers. The Utah Department of Alcoholic Beverage Control is responsible for the control over the importation, distribution, sale, and consumption of alcoholic beverages, which applies to all retailers, suppliers, and wholesalers who are licensed to manufacture, sell, serve, transport, or store liquor in the State of Utah. Title 62A-15-401 of the Utah Code requires alcohol servers to complete an Alcohol Certification Course. 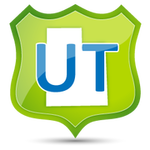 We offer online Alcohol Safety Training in Utah for: Salt Lake City, West Valley City, Provo, West Jordan, Orem, Sandy, Ogden, St. George, Layton, Millcreek, Taylorsville, South Jordan, Lehi, Logan, Murray, Draper, and many more!